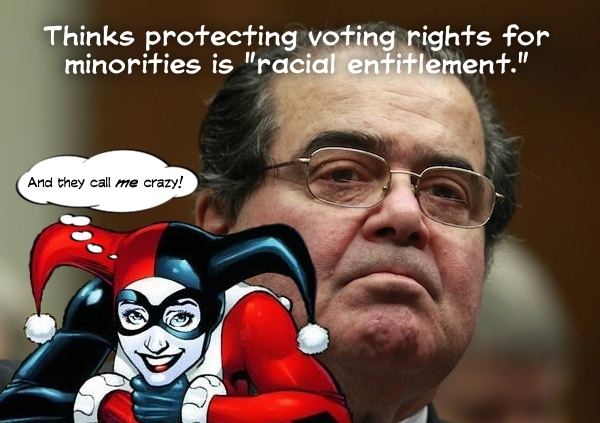 How do you fix a problem like Scalia? No, seriously, what do you do when a Supreme Court Justice is obviously insane? And, if you're one of those morons who thinks Scalia's judicial philosophy is just neato, ask yourself this: Was Dred Scott correctly decided?